Our esteemed faculty and programs are nationally and internationally recognized for excellence and creativity, providing a foundation for a rigorous academic experience while maintaining our focus on the individual student. We offer 60 major and 55 minor undergraduate degrees and programs. For graduate students, we have 39 master's degree programs, one education doctorate, one juris doctorate, one doctorate of juridical science and 10 credential/authorization programs. Our esteemed faculty includes Nobel Prize winners and Pulitzer Prize winners, among many other distinctions. We are a top producer of U.S. Fulbright Students. LMU students represent every U.S. state and dozens of countries around the world. We enroll 9,295 students (6,162 undergraduates, 2,099 graduates and 1,034 law) with an average student-to-faculty ratio of 11 to 1. 85% of our undergraduate students and 88% of our graduate students received financial aid in 2015-16. LMU is ranked No. 3 in the West according to U.S. News & World Report. Our colleges, schools and programs are among the top-ranked nationally and internationally. Take the first step toward your future success today and start discovering your future self. Research and creative work is integral to the development of our students. Starting on the first day of their undergraduate experience, students have unprecedented access to faculty-mentored research programs. LMU faculty received $5.4 million in sponsored projects last year, ranging from scientific research to artistic endeavors. LMU actively seeks to enhance faculty and student research opportunities: in Fall, 2015, our landmark Life Sciences Building opened and offers 35 new research and teaching laboratories in the most advanced building of its kind in the country. LMU students have ample opportunities to engage in co-curricular programs with over 155 registered student organizations and 18 Inter/National Greek fraternities and sororities. LMU was ranked No. 7 nationwide for the having "Students Most Engaged in Community Service" according to the Princeton Review with our students volunteering nearly 200,000 hours last year at more than 350 community organizations. LMU Lions compete in 22 NCAA Division I and varsity sports in the West Coast Conference. Check our award-winning student media programs: KXLU 88.9 FM Radio, The Los Angeles Loyolan, ROAR Studios and The Tower Yearbook. Our 142-acre blufftop main campus is ideally located in Los Angeles, the world's creative capital and the nation's cultural capital. Consistently named among the nation's most beautiful and green campuses, LMU's location overlooking the Pacific Ocean is five minutes away from Los Angeles International Airport (LAX) -- and, the rest of the world. Silicon Beach, the tech capital of Southern California, is in LMU's front yard. Industry partnerships provide students with unrivaled internship and professional career opportunities. In 2015, Silicon Beach was ranked third globally for tech ecosystems, edging out powerhouse hubs like Boston, Tel Aviv, and London. An LMU education prepares students to thrive as global citizens, successful professionals, and well-rounded men and women for others. We take pride in developing students into alumni who go on to become ethical business leaders, engaging artists, and respected scholars. As students discern their vocations, they discover the intersection between their skills, passions, and the needs of an increasingly global society. The success of our graduates is evidence of LMU's educational return on investment. The first destinations of LMU lions are limitless. President Timothy Law Snyder, Ph.D. The Jesuit education we provide is nearly 500 years in the making. It was founded to create a better world for those here and those to come. Founded in 1911, LMU is a top-ranked Catholic university rooted in the Jesuit and Marymount traditions. We are committed to fostering a diverse academic community rich in opportunities for intellectual engagement and real-world experience. We enroll an academically ambitious, multicultural, and socioeconomically diverse student body. We recruit, retain and support a diverse faculty committed to excellence in teaching, research, scholarship and creativity. Charlie Brown: A Lion at Heart? www.lmu.edu > The LMU Experience > Charlie Brown: A Lion at Heart? Good and Bad of NFL in L.A.
California’s Drought: Will a “Monster El Niño” Save Us? Clinton to Graduates: "Set the World on Fire"
The Supreme Court: What Happens Next? Yoga Studies Goes Beyond L.A. with Low-Residency M.A. ‌Released in November, “The Peanuts Movie” came to the big screen exactly 50 years later than “A Charlie Brown Christmas” debuted on the small one. The new film makes discussion of the classic animated TV special that features an imperfect, evocative yuletide tree feel fresh again and brings to the fore a little-known LMU connection. Then and now, “A Charlie Brown Christmas” sets a distinct tone and carries a contemplative message underscoring the true meaning of Christmas — the miracle birth of the baby Jesus. Centered around Charles M. Schulz’s indelible “Peanuts” comic strip characters and the travails of making a Christmas pageant, Schulz figured it was a gamble — with a solidly religious focus and an arty piano-trio jazz score that swirled like drifting snow. 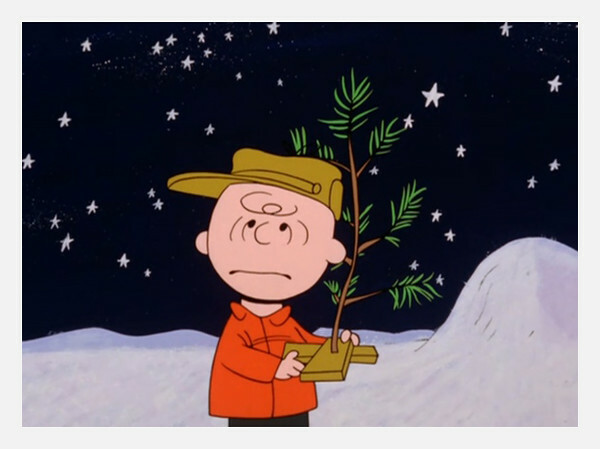 But the Charlie Brown tree, the Vince Guaraldi jazz score and Linus’ earnest Luke 2:8-14 recitation are now instantly recognizable touchstones.